Film theory is at a crossroads. 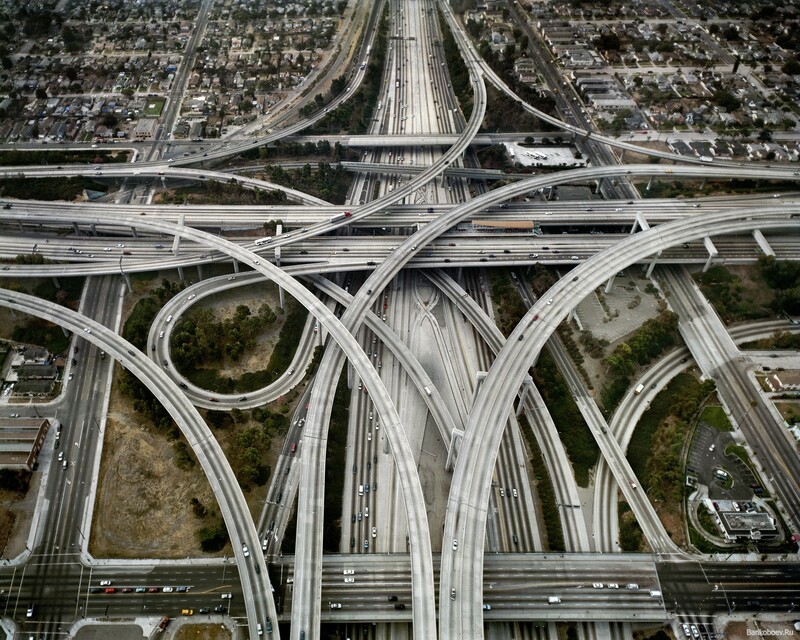 The more I think about it, it’s more like the crazy Los Angeles freeway over/underpasses. Is the right way intertextual/intermedial/transmedial/psychological? Is there a right way at all? I’ve been running a studio this semester which looks at the role of the frame in the age of digital cinema. It’s based on a conference paper I delivered in New Zealand earlier in the year, and what I’m starting to discover (in the most wonderful organic way, alongside my students) is that I barely scratched the surface of this question. It’s not just the frame; and never really was. The frame’s intrinsic links to movement mean you have to examine the practice of cinematography as a whole; and you can’t look at cinematography without interrogating the relationship of shot to shot. The rabbit hole I’m presently falling down is pointing to a psychological theory of cinema more akin to Bakhtin or Lacan than Bazin or Bordwell. Cinema is about perception rather than watching. We don’t just watch a film: we perceive and infer, interpreting according to our own psychological constitution. In class last week, my students — a mix of first- and second-years — independently started discussing Deleuze’s concept of the ‘out-of-field’ and how it might relate to movement in cinema. Cinema is everything I’ve discussed: the frame, movement, editing, psychology. Ack. The rabbit hole may not have a bottom.